Congratulations, you’re engaged! Now to start planning the big day. 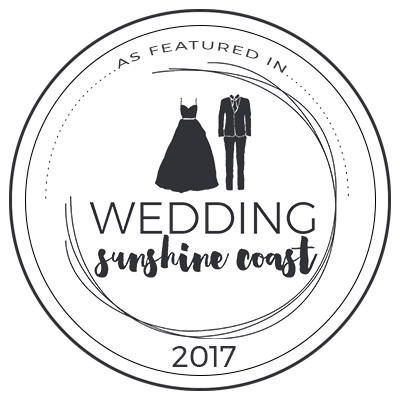 I am known for my vivacious, fun, warm personality which really does shine through when creating and presenting your unique ceremony. 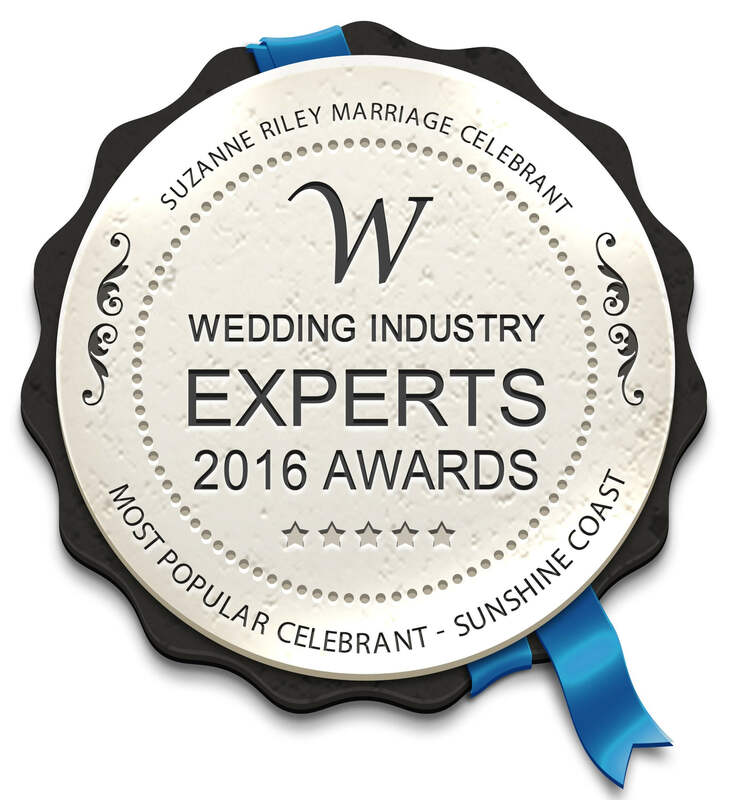 I am so pleased and very proud to be highly recommended by so many wedding professionals on the Sunshine Coast. I take time to get to know you and love this part of my job! 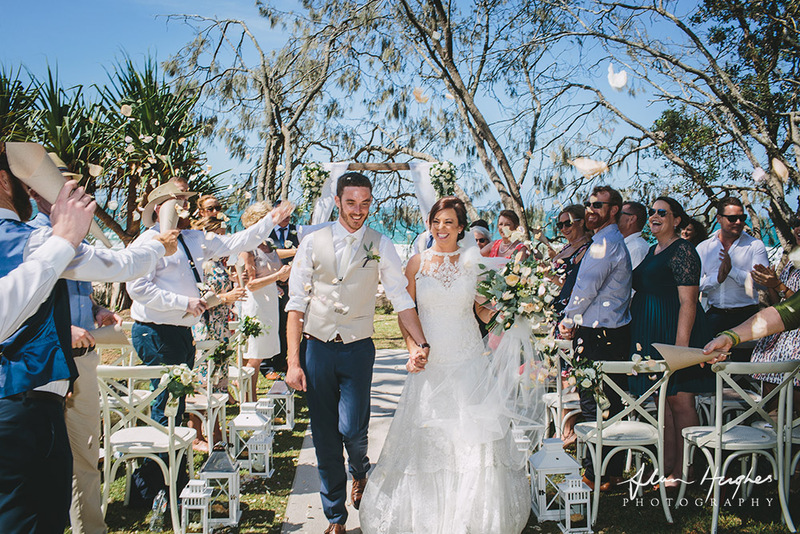 Your wedding ceremony is one of the most special, precious moments in your life so the fun and the celebrations should start with your ceremony, it really does set the mood and the pace for the whole day. 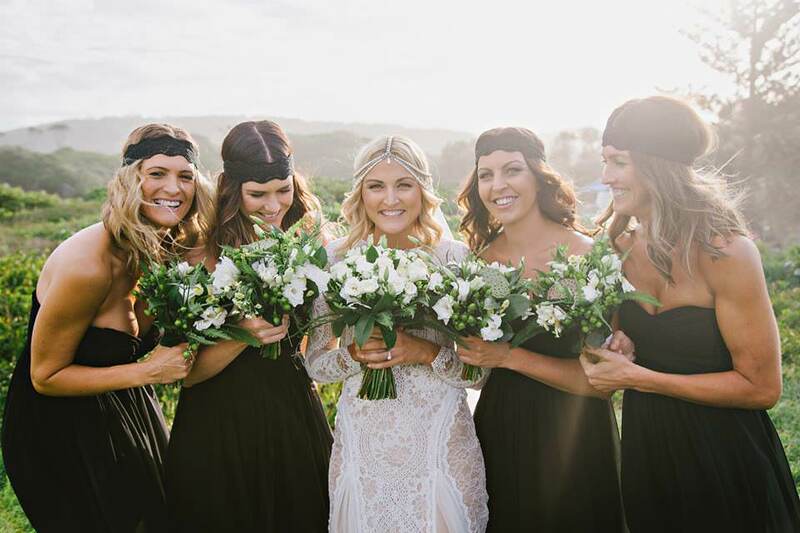 I love the traditions and respect the ceremony, at the same time we can also have light and shade and personality incorporated into the day so that you and your guests feel as though they have experienced something truly special. So let me tell you what I ‘don’t’ do… I don’t do ‘groundhog day’ or ‘boring’, I don’t do readings about trees who’s roots intertwine and pillars that hold up the roof and I’ll never start a ceremony with ‘we are gathered here today’! I’d much rather create something genuine, real, fun and creative. 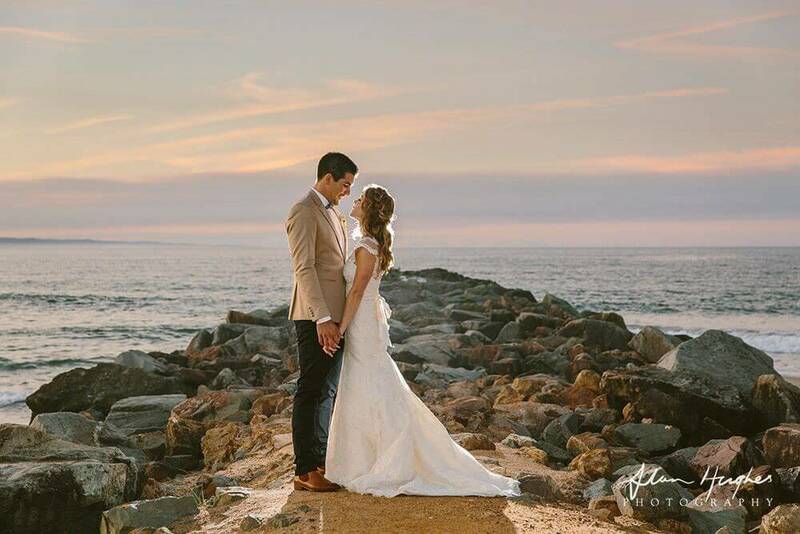 From beginning to end your ceremony will be filled with ‘you’ and ‘awesomeness’. 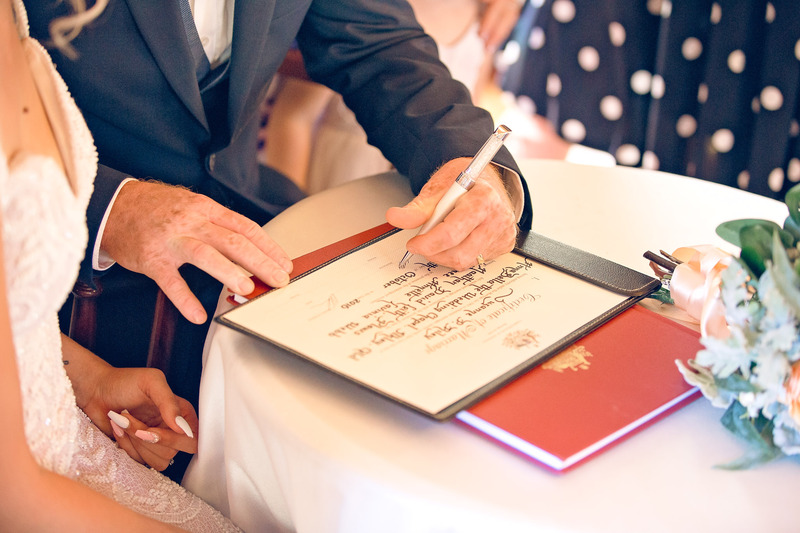 You will have the peace of mind knowing that everything will be legally in order, beautifully presented with warmth and love with professional equipment and that you’ll be so proud to share this very special occasion with your nearest and dearest. Email me to request my information pack, which shows inclusions, price and lots of other useful information. 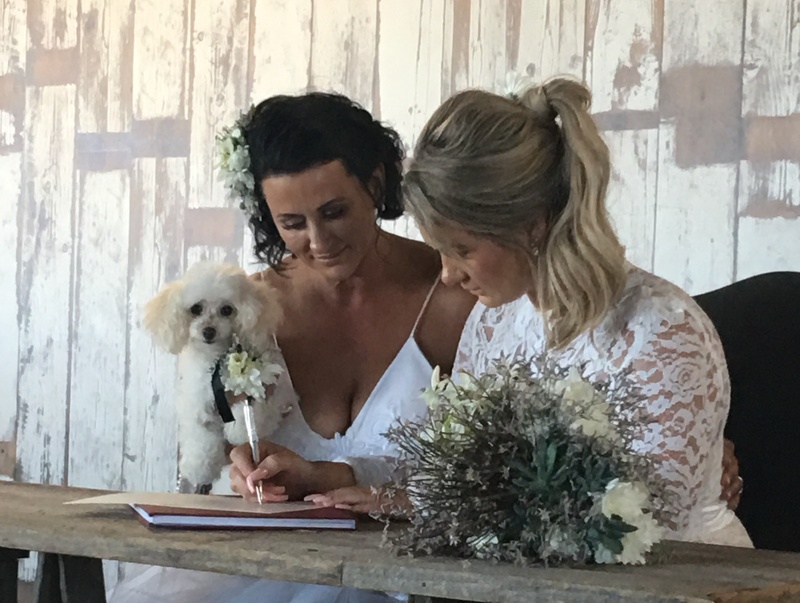 There are photos and interactions from hundreds of my ceremonies on my Facebook page, lots of great ideas, so visit and say ‘hi’. 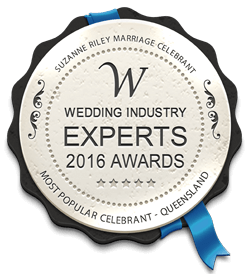 The Wedding Industry Experts Awards are now the largest popularity competition for Wedding Professionals & Businesses worldwide. There are 82 categories and entrants compete for city, state, country and international levels. Suzanne is the best! So stop looking. 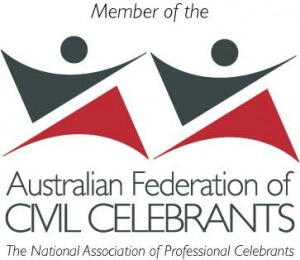 You have found the marriage celebrant that you want and need. Suzanne was absolutely fantastic. Right from the first moment she made us feel comfortable and that she understood what we wanted for ourselves and our guests at our ceremony. 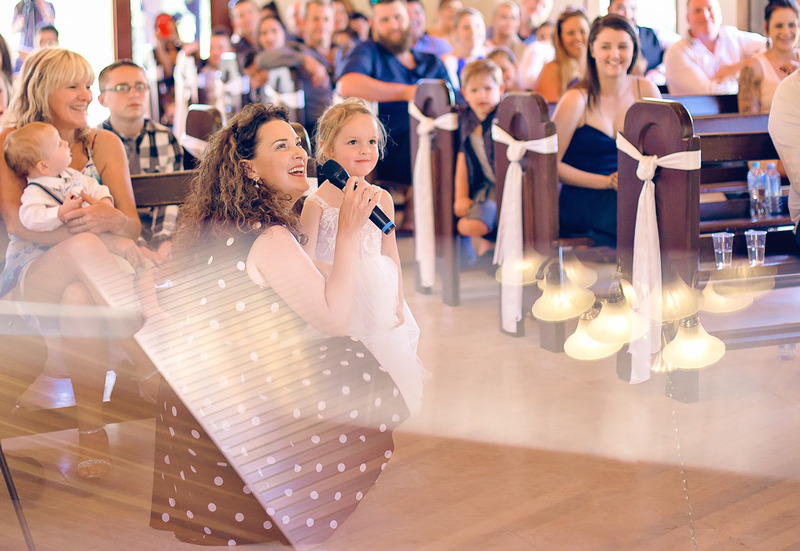 Suzanne tailored her 'speech' so that it worked seamlessly with our 'theme' and worked her magic so that one moment she had our guests laughing and the next minute crying with emotion. 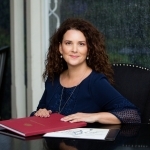 Suzanne is a rare combination of vibrant, feisty, compassionate and professional. 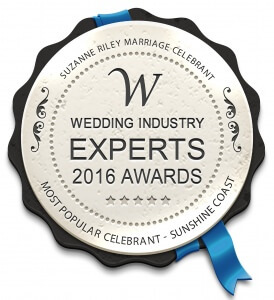 She is the best celebrant on the Sunshine Coast (if not Queensland) and all the suppliers know her and love working with her. What more could you want. Talk about the hostess with the mostest!! Suzanne was nothing be awesome from the moment we were in contact - she made everything flow seamlessly and went beyond and above without any expectation of doing so. 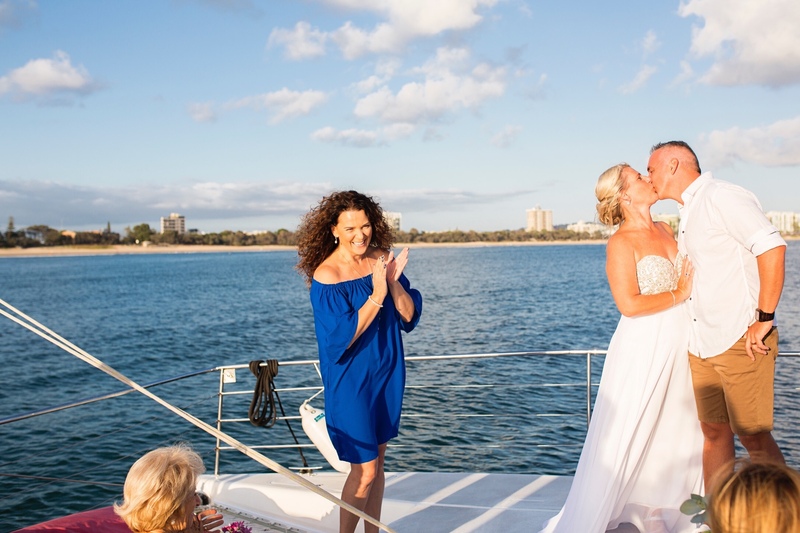 We had numerous comments about how good a celebrant she was from our guests which just solidified our belief we made the best choice possible. Thankyou again Suzanne - all the best! I can't say enough kind words about Suzanne! She's so lovely and really took the time to make sure our ceremony was everything we wanted it to be and more. She went above and beyond to ensure we had a unique and special day. I highly recommend using Suzanne! Suzanne was a dream come true. She was unbelievably helpful leading up to the big day and she had a finger in more then just the "celebrant" aspect of the wedding. She used her knowledge of the industry to make sure I was using trusted suppliers and that everything was going to run smoothly on the day. 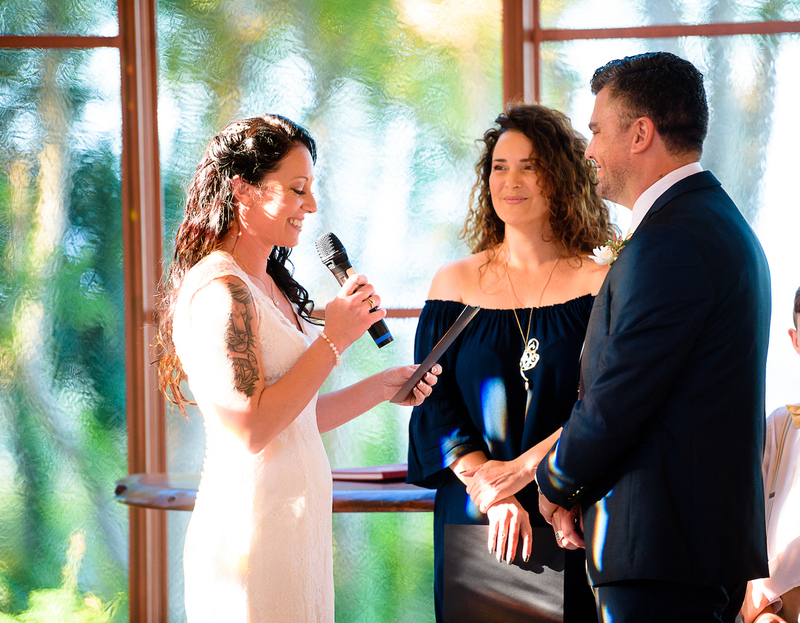 Suzanne made our ceremony incredibly personal and took the time to get to know both Joel and I so that what she was saying was genuine and from her heart. I couldn't have imagined our day with Suzanne. Thank god we found Suzanne! She is everything we needed in a celebrant & more. Someone with such a wonderful, caring, vibrant personality is perfectly suited to the role. She had a unique way of finding the core of who we were as people & as a couple. 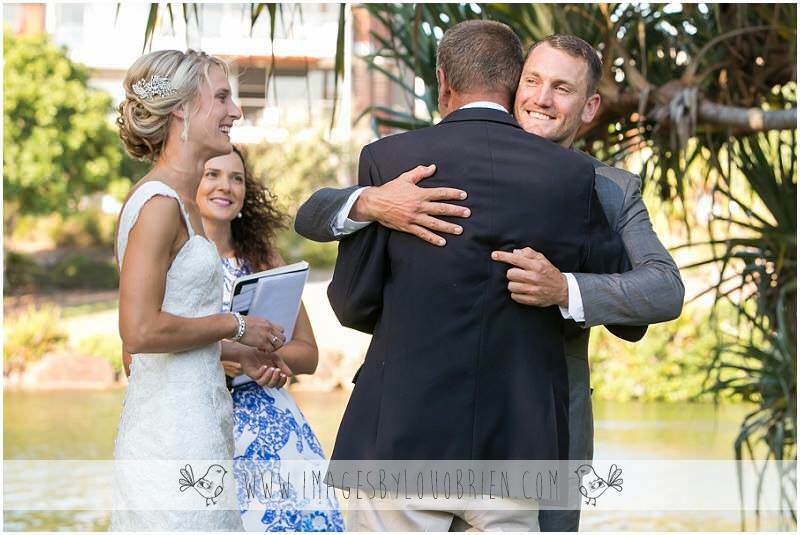 That understanding meant that the ceremony was so personal & heartfelt. 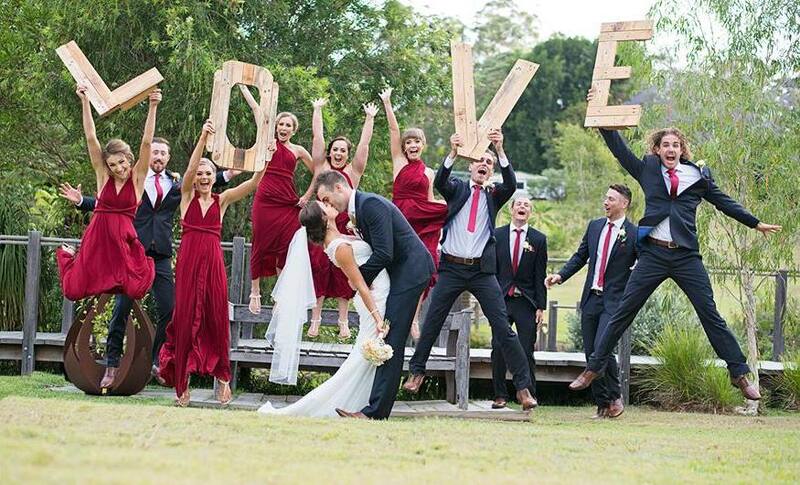 Not the typical wedding ceremony. All of our guests commented on how unique & beautiful it was. 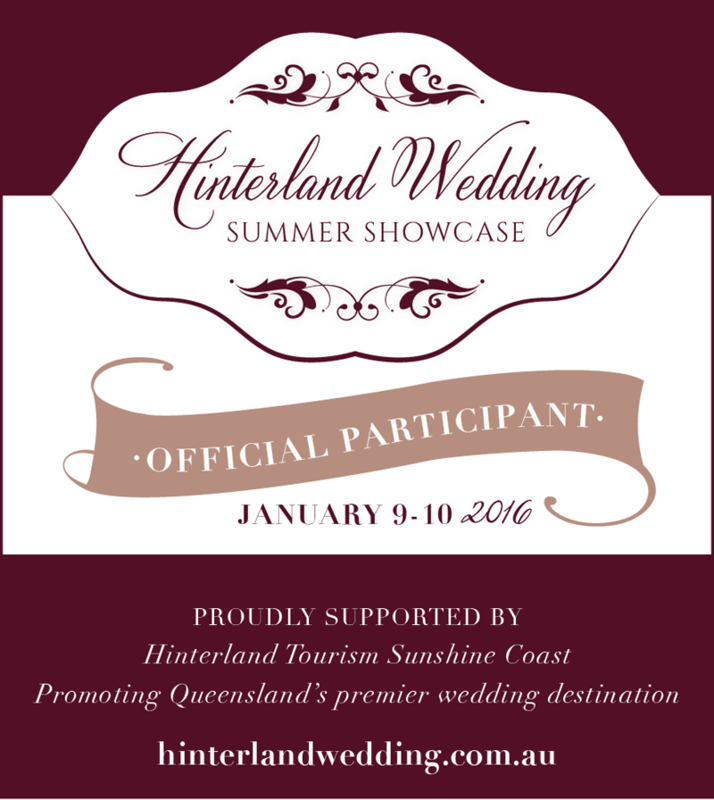 We cannot recommend her enough to couples planning their wedding. She is the full package. 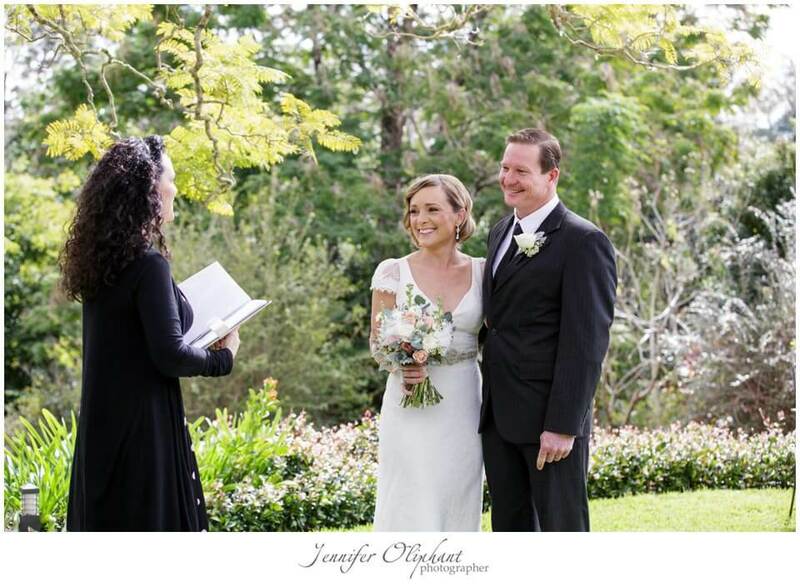 Suzanne was simply amazing, we couldn't have asked for a more perfect celebrant who suited us so perfectly. 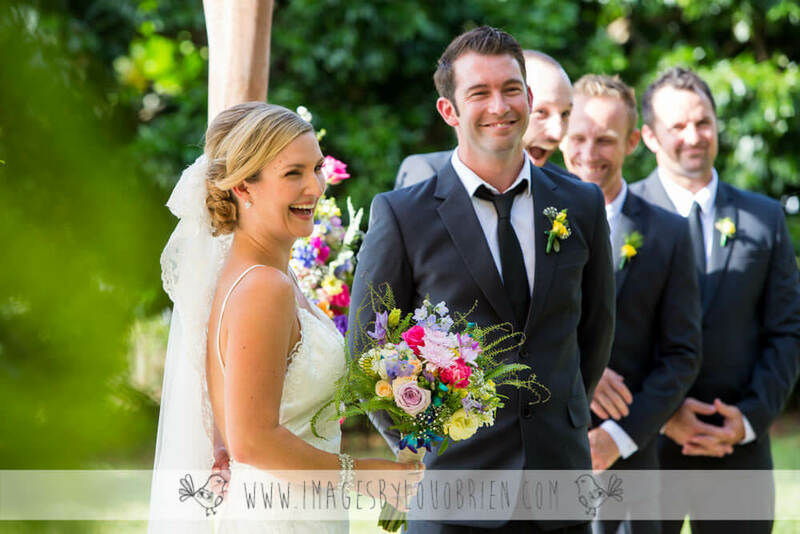 Suzanne made the ceremony so personal and intimate yet light hearted and funny, with a few happy tears along the way. 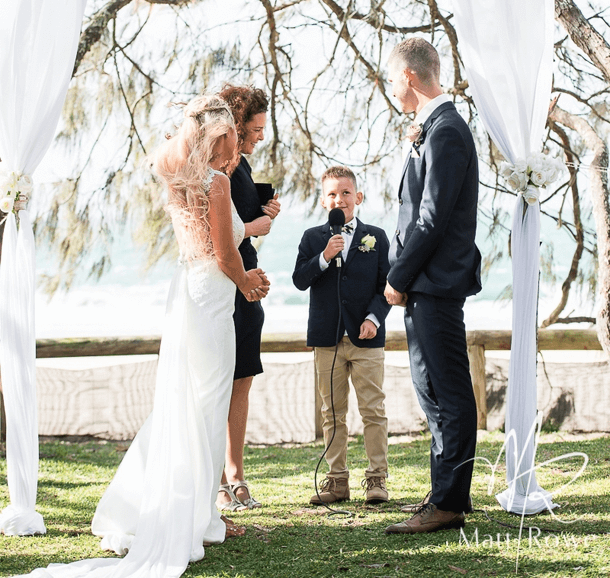 Suzanne involved some of our smaller special guests in a way they will never forget and involved all our guests in such unique and special ways, perfect for a small beachside wedding. 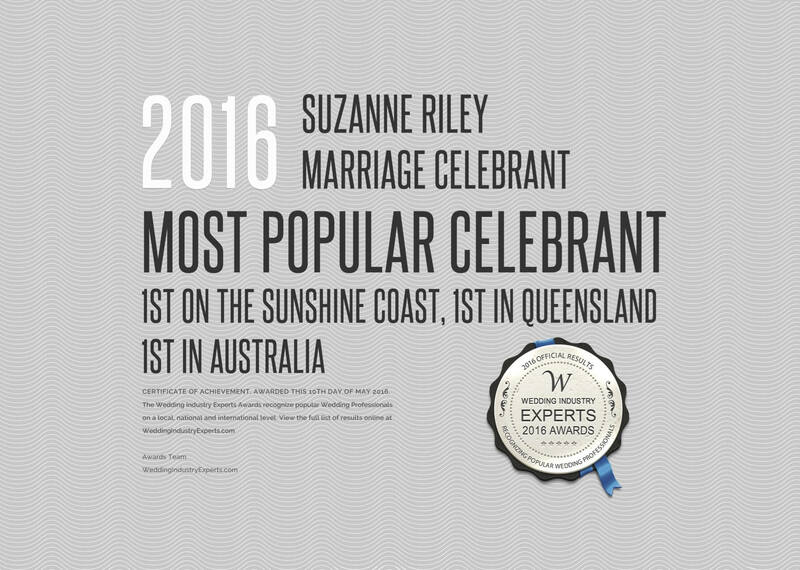 So many of our guests commented on the ceremony and how fantastic Suzanne was. 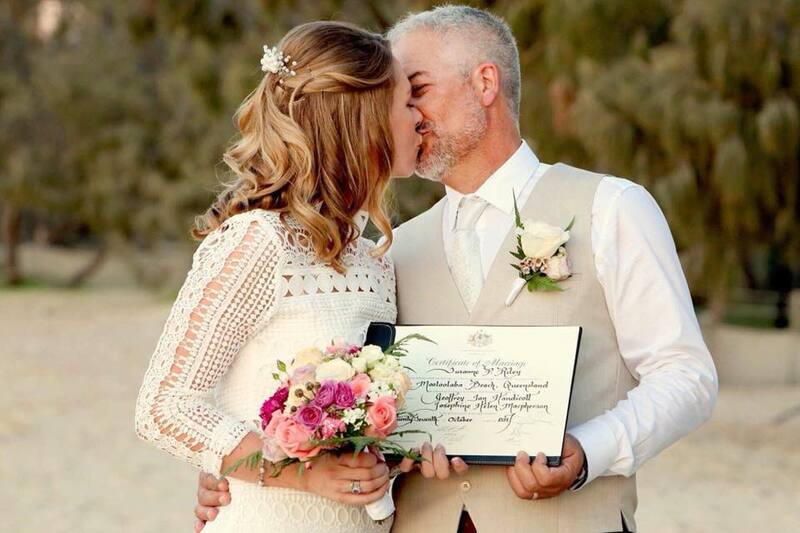 We are so very grateful to Suzanne for making our ceremony so wonderful and so perfectly suited to who we are. You will always be so close to our hearts for everything you did for us. 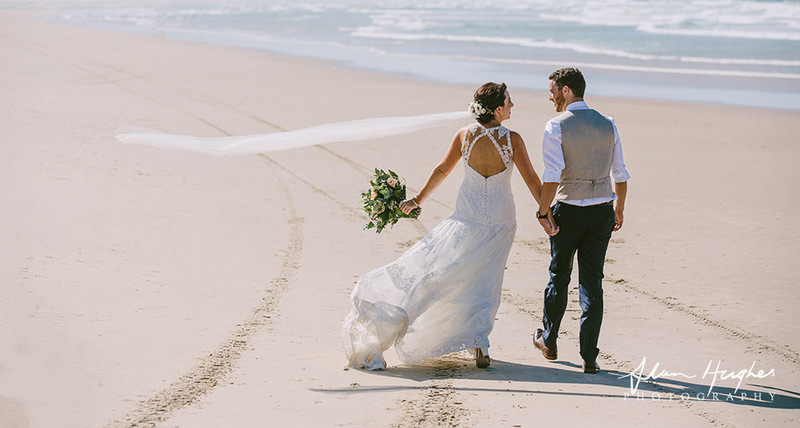 Hi Suzanne, we can’t express in words how absolutely perfect our ceremony was, we have been so overwhelmed with the beautiful ceremony you wrote for us and those special personal details that just made our Ceremony ‘ours’, it was absolutely ‘Perfect’ thank you, thank you, thank you ! We will be recommending you to all of our friends. Hi Suzanne From the bottom of our hearts, we want to thank you so much for everything yesterday! Everything you said was just amazing, and so were you! 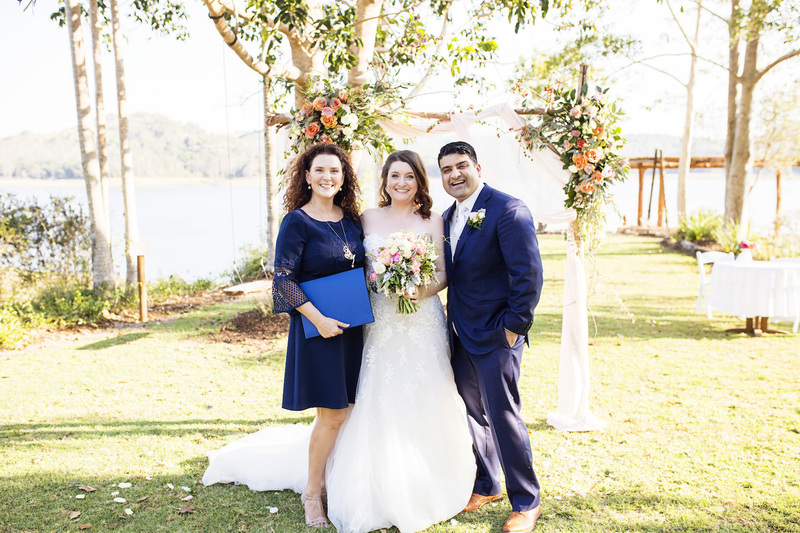 All everybody could say was how amazing our Celebrant was – and it’s true! There is nothing we would have changed yesterday, it was just perfect! Thanks you again so much! Suzanne was absolutely amazing. We are continuously getting compliments on how beautiful, loving and personalised our ceremony was. We wouldn’t have changed a thing, Suzanne was so professional and made our ceremony completely about us. It was perfect! We HIGHLY recommend Suzanne- Beautiful lady inside and out! From the moment we met Suzanne, we could not get over her incredibly vibrant, enthusiastic, loving, professional manner. Over a year later, our guests still comment on how fabulous she was! 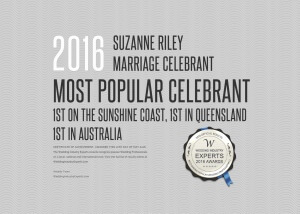 Suzanne is everything a celebrant should be and more. Such a sparkling personality and she makes everything so easy! The moment I met Suzanne we clicked. I knew she was the one(feels like I’m writing my vows again! )She spoke about Heath and I as if she was inside our heads .She made me feel calm, controlled and made our ceremony feel like no one elses, not scripted or rehearsed, just ours. Suzanne, it was lovely to work with you on Friday afternoon. I love the way you look at the ceremony not just from the point of view of having to get your job done and move on. You took everything into consideration to ensure that that everything went perfectly. My whole team at G&M Solutions Mobile DJs were talking about how professional yet endearing you were. I look forward to working with you again in future. We could not thank Suzanne enough for making our ceremony one to remember. It was so special – a dream – and we really attribute it to Suzanne. She was so tender and captured us as a couple to the core. WOW! 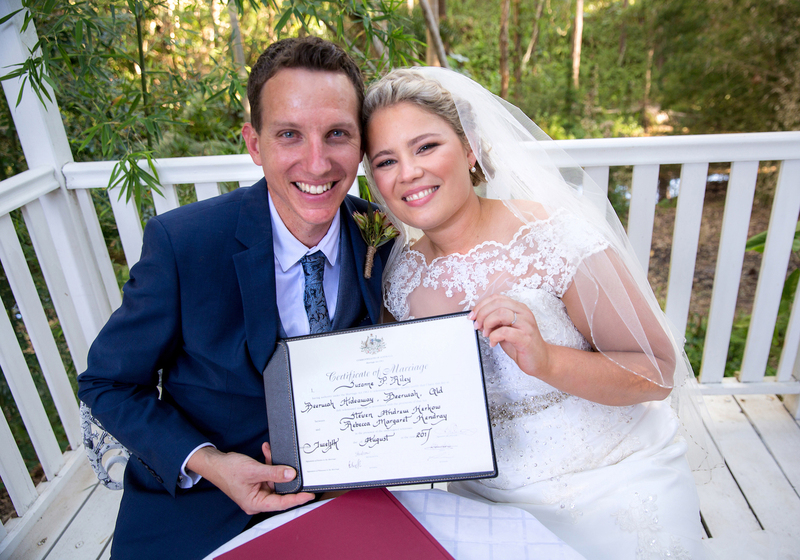 We had so many guest come up and specifically mention how great our celebrant and ceremony was. Suzanne is such a gorgeous and vibrant person, she really does have a gift in knowing how to make a wedding day special! I would use her again and again if that was an option :) Thank you Suzanne for helping make our wedding the best day of our lives. We had the most amazing day of our lives, thank you for organising every last detail, our wedding day was perfect. You created the most wonderful memory of our lives. Suzanne is amazing, from start to finish. She helped with the vows, and many other things on the day. She promised the ceremony would be amazing, and it was. It was just ours & perfect! Family & friends still mention how lovely it was, long after the wedding. HIGHLY recommended! Hi Suzanne, We just wanted to say a BIG BIG THANK YOU your guidance throughout our journey. Your support from beginning to end has been invaluable, you provided ideas and suggestions that we would never have thought of ourselves. 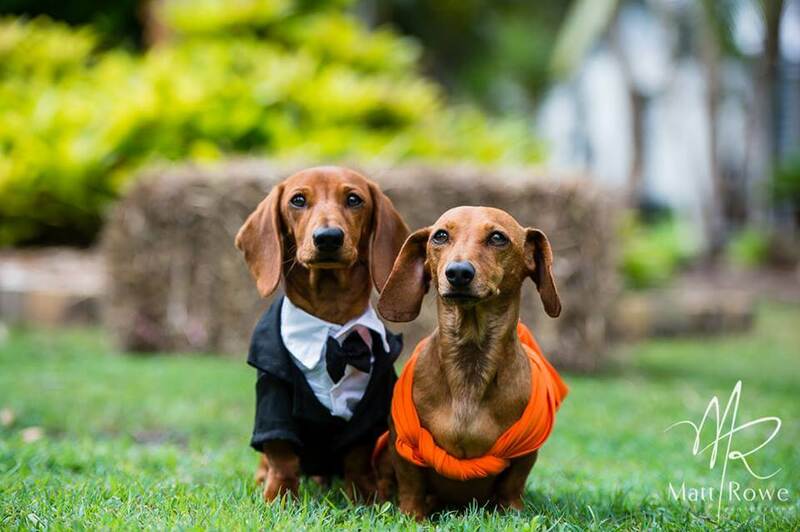 We thoroughly enjoyed our ceremony, it was light hearted and unique to us and our personalities with none of the fluffy stuff………everything you promised it would be!!! 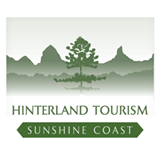 Thank you again, we will be highly recommending you whenever the opportunity arises! 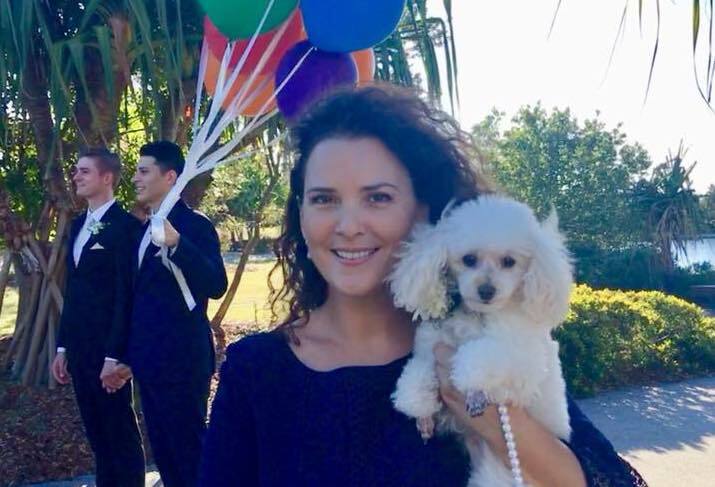 Hi Suzanne, we wanted to say a huge THANK YOU to you for being a part of our special day! Obviously we couldn’t have done it with out you, but we are especially grateful you were able to work with us under the circumstances.. We had an amazing day, one we will always remember and you were a huge part of making that possible and amazing. 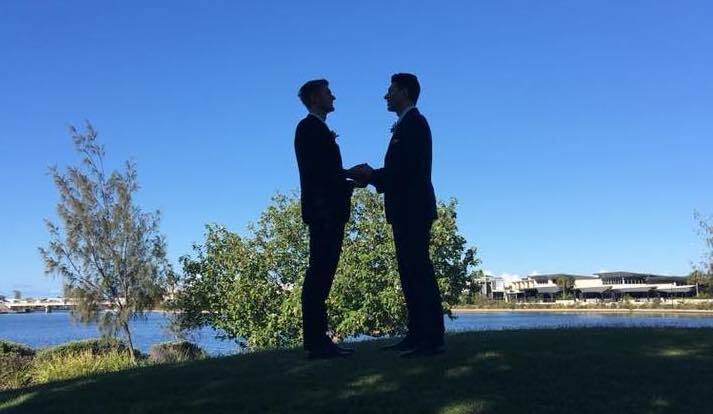 We have had soo many guests comment on how personal the ceremony was, how it felt like you knew us incredibly well, and that the inclusion of all of our parents was super sweet. Along with the fact that our friends thought it was interesting, thoughtful and fun, exactly what we wanted. Your amazing at your profession, the whole process was made easy and exciting for us and am so glad we found you. I can’t recommend you enough and I hope to see you at more of my friends weddings in future. Thanks again Suzanne, you rock at ur job! Claus and I would like to say a big thank you. Our ceremony was perfect. It was us… All of us and we could not have asked for more! If we could do it again we would not change a thing! Thank you! Hi Suzanne, You were outstanding, absolutely wonderful, so much so that my mom, who can’t speak English at all, thought you were great and commented on how amazing the ceremony was even though she couldn’t understand a word. She loved your vibe and your attention to detail and the well thought of background music. It was magical. Your recommendations of the makeup artist was also great! Such a sweet, kind talented person. She understood exactly what I wanted and made me look better than I expected. My make up was absolutely flawless and I absolutely loved it and the photographer was also great, very professional. She managed to capture great moments with my son and the rest of the guests and some of our photos are so amazing that I can barely believe it! 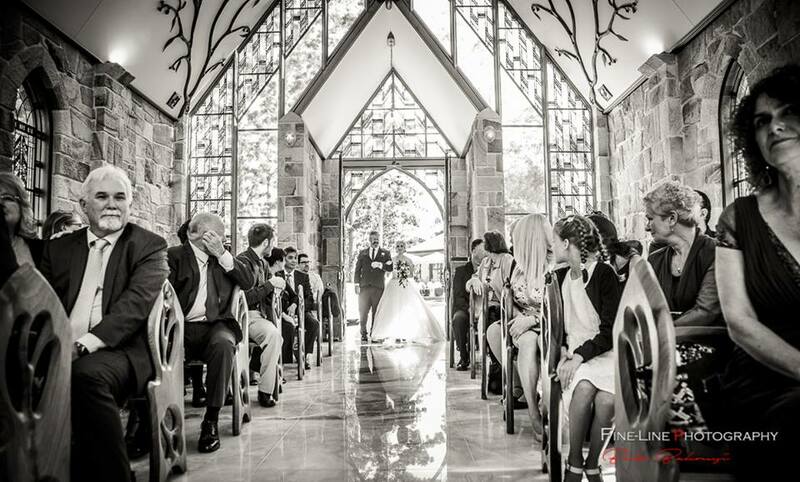 It looks more like a Hollywood movie than a wedding!